During the search for the best contractor, you’ll need to ask them a few of these questions. It doesn’t seem like it yet, but spring is coming back early. This means that the time is right to think about putting up a brand new fence in your yard. For best results, work with a fence contractor. During the search for the best contractor, you’ll need to ask them a few of these questions. When you look for a fence contractor to help you, you want to be sure they will answer all of your questions. If they aren’t responsive or don’t return your calls, then you probably can’t rely on them to help you all that much. How do they treat you, and how do they value their customers? These are important follow-up questions to give some thought, especially if you’ve never had to put up a fence before, and you don’t know if they could be misleading you or not. Does the Estimate Make Sense? The next step is to think about the estimate. 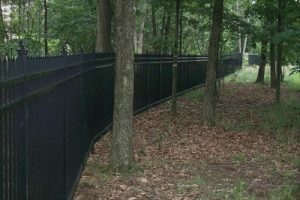 Estimates are a crucial component of any fence installation project. The cost estimate will aid you in your attempts to create a budget for your new fence, especially if you need to have more than one put in at the same time. Does the estimate make sense to you? The more helpful and engaging your fence contractor is, the easier it will be to answer this and all of your other relevant questions. How Does the Sales Process Go? You’re going to be frustrated if it takes an eternity for the fence to be installed. Completing the sale and getting the work underway should be smooth sailing, especially when you’re working with a reputable fencing company. All good fence contractors will guide you through the sales process. So if you find that it’s taking too long, or you sense that the contractor you’re working with is dragging their feet, then it could be a sign you should trust someone else, like Hercules Fence. If you can finance your new fence, and pay for it in monthly installments, then that’s a good sign. If not, then maybe another fence contractor is the way to go. Lastly, pay close attention to the materials that your chosen fence contractor uses. Higher-quality materials result in high-quality products, and you want to be sure that you’re getting your money’s worth. This entry was posted on Friday, February 8th, 2019 at 5:20 pm. Both comments and pings are currently closed.